(Bloomberg) -- The campaign chief of Mexico’s Andres Manuel Lopez Obrador has a clear message to investors: the leftist presidential candidate who looks poised for a landslide victory in the July 1 election won’t rip up the country’s laws. 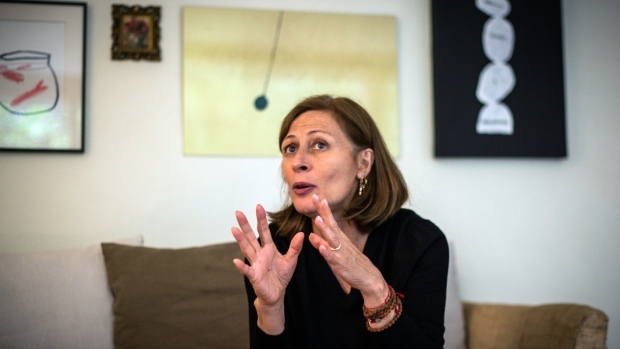 Instead, Lopez Obrador will work to calm investors and business leaders who have been anxious about some of his promises, such as an audit of oil contracts, said Tatiana Clouthier, the daughter of a former pro-business presidential candidate who has crossed to the opposite side of the political spectrum to manage Lopez Obrador’s campaign. After two failed presidential bids, the candidate widely-known as AMLO in Mexico has emerged as the undisputed front-runner, enjoying an advantage of almost 25 percentage points over his nearest rival in a crowded field. If AMLO wins, he will lead a country reeling from high crime rates, corruption and above-target inflation, while facing a bitter dispute with the U.S., Mexico’s main trading partner. Lopez Obrador wouldn’t aim for an overhaul of the energy sector, nor any other major constitutional reform in the first three years of his government because he needs to focus on cutting the budget, Clothier said. The only exception, she conceded, would be changes to the education system that are nearly consensual among two of three major parties. Savings would be achieved by eliminating unnecessary expenses as well as by shrinking or combining some ministries. Her list of priorities includes lowering corruption, cutting privileges of top government officials, and redirecting funds to education and infrastructure. She said their success would already make for a good start to Lopez Obrador’s government. As for negotiations on the North American Free Trade Agreement, Clothier said Mexico shouldn’t endorse any deal before the U.S. holds midterm elections in November, which will likely be the focus for President Donald Trump. For Trump, Nafta “is a political issue more than anything else. So we should wait until time passes,” she said. Lopez Obrador would likely face no problem in making the budget cuts he’s proposing because that would require a simple majority in Congress that looks achievable, said Clothier. But not even she thinks it would be healthy for Mexico if her boss is elected with congressional majority and a sweep of various local legislatures.